For thousands of years, humans did not brush their teeth. Why do we brush them now? It’s true that the first thing most people do when they wake up in the morning is brush their teeth. 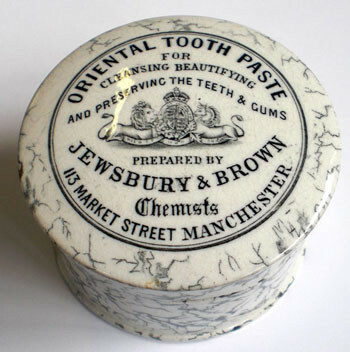 For most of us, brushing our teeth is a mere habit which we simply take for granted, but have you ever wondered how man toothbrushing became a natural habit? The development of the first toothbrush probably dates back to around 3000BC, when the first toothbrush was fabricated by the Babylonians and Egyptians by using frayed twigs. According to another source, around 1600 BC, the Chinese prepared “chew sticks” that were made from the twigs of aromatic trees for freshening their breaths. 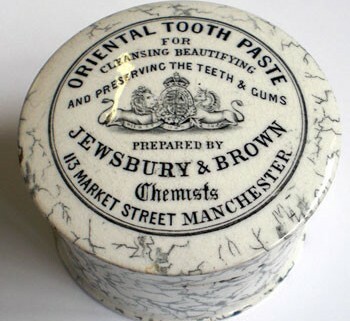 What was done when there wasn’t toothbrushes and toothpaste? Back in the day, there were no processed food items, fast-food or take-out. The diet in those times consisted of all natural and unprocessed foods, such as wheat, rice, vegetables and fruits. These natural and pure foods were quite safe since they did not contain any preservatives or chemicals, and they contained nutrients and vitamins that made the teeth stronger and more resistant against cavities and other dental infections. Ancient people were overall very healthy. The ancient peoples’ diet consisted a large part of fibrous foods. Fibrous foods are great for digestion, but also help to keep our teeth healthy and clean. They do this by aiding in flushing away food debris from the surface of the teeth. If food debris is quickly removed from the tooth’s surface, dental plaque is less likely to accumulate. Essentially, these foods acted as a toothbrush to keep their teeth clean. These days the majority of American’s diets are deficient in many vitamins and minerals, which could be a reason for the occurrence of dental infections. This results in weak teeth that are ill-equipped when it comes to resisting tooth decay. This was not a problem in the previous days, as the diet used to be pure, wholesome and balanced. If we forget to brush our teeth just for a single day, a thick layer of dental plaque is visible on our teeth and if we do not floss, a significant amount of food and dental plaque remain in between our teeth. This is because our eating habits have changed drastically. These days, many people tend to eat processed foods that are not only harmful to our health but are also quite detrimental to our teeth. Refined and simple sugars that can cause cavities very quickly are in most of the sweets and baked good that we consume. Unless you brush your teeth after every time you satisfy your craving for sweets, you are at a risk of developing dental decay. We have so many delicious baked items available these days, that they’re nearly impossible to avoid. Cookies, Muffins, Donuts, Bagels, Cupcakes — who can resist? But now more than ever we are exposed to sugary foods that can cause harm to our teeth. We love our sweets, fast-food, pizza, etc., but at the same time, we don’t exercise as much as our ancestors did by hunting and gathering food. Unless we stick to a vigorous exercise routine, we don’t tend to burn the calories we consume. Over time, by not getting enough exercise, it may lead to indigestion and potential gastric disease, which if left untreated, can cause acid from the gut to rise up to the oral cavity, and cause tooth demineralization, and ultimately cavities. Smoking is so common these days, but most people tend to neglect the facts about the harmful effects of cigarette fumes on the teeth and overall health. Not only does smoking stain our teeth, but it has been linked to oral cancer. Carbonated drinks, whether regular or diet, are harmful to your teeth. Regular sodas contain and enormous amount of sugar. Despite the fact that diet sodas are calorie-free, they are just as bad for our teeth as regular soda because they are very acidic. Both regular and diet sodas will cause demineralization (or softening) of the teeth, which eventually leads to tooth decay. How You Can Protect Your Teeth From Infections and Cavities? Brushing and Flossing — Brushing your teeth removes the layer of dental plaque that adheres to your teeth and accumulates from eating all day. Brushing away the plaque at least twice a day protects your teeth from harmful bacteria inside the plaque. Similarly, flossing between your teeth will ensure that each and every corner is stripped of harmful plaque. By not flossing, you are missing 35% of your tooth surface. Eat a Balanced Diet — A diet that is rich in nutrients, vitamins and minerals will make your teeth stronger and protect them from cavities. It’s also a good idea to lessen the intake of sugary foods and sodas. Remember to rinse your mouth after eating or drinking anything sweet or acidic. You shouldn’t brush for at least 30 minutes to an hour after consuming surgery or acidic foods. Visit Your Dentist Regularly — By visiting the dentist regularly you will ensure that any developing problems are diagnosed and treated at their earliest. This will lessen the likelihood of a small problem causing permanent damage to the teeth or the oral cavity. Remember, your dental health has a direct influence on your physical wellbeing. If you want to remain healthy, look after your teeth! https://andertondentistry.com/wp-content/uploads/2016/01/ce407b946484a2a4387f828f24f10468.jpg 352 350 eanderton https://andertondentistry.com/wp-content/uploads/2015/12/Jocelyn-logo-1.png eanderton2016-01-08 15:31:062016-01-09 19:14:45For thousands of years, humans did not brush their teeth. Why do we brush them now?